How did you get on answering the questions? More and more people are paying attention to their intuition – what their gut and heart are “telling them” – and living a more satisfied and fulfilled life. It doesn’t’ have to be that way. Stressing less and living well is not Beyond reach. Our hearts, quite literally, have a mind of their own – scientifically proven by a range of studies, and in particularly the research of the Heartmath institute. 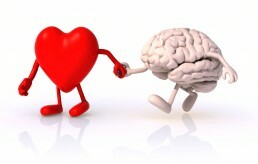 Our “heart intelligence” impacts greatly on our thinking, feelings and ultimately how our behaviour = towards ourselves and others in our personal and professional lives. "Every step of today is your life tomorrow"
? Do you find yourself feeling more and more stress these days?
? And is it having a negative impact on your overall performance and enjoyment of work or everyday living? Three different 3 hour workshops – each with you in mind!! learn to listen to your body and how you talk to yourself – “ignore at your peril” !! discover ways to “switch off” your brain and give your mind a well-earned rest! Ray Taylor runs the workshops and shares his knowledge of simple and effective tools for change with a stimulating an holistic approach to developing yourself. AND then there is always COACHING! If you are someone who would benefit from an individual one on one conversation to focus on changing and developing some new approaches to stressing less and living well, get in touch. Our coaching approach – either on professional or personal matters – is to listen, question, question some more, and offer suggestions where relevant. We include the tried and tested tools and techniques of HeartMath® that enable you to regulate your emotions and reactions IN THE MOMENT and not let stress hang around. The intention is for people to leave our conversations with clearer thinking about the issues, and situations they are dealing with, and a range of ideas and actions on how to make a difference in, perhaps, simpler and more impactful ways. Let’s have a free introductory conversation, and go from there.